Small in size yet very cozy and hospitable, GST107 can accommodate up to 5 persons. Suitable for families, this vacation house is located near Kamena Vourla. 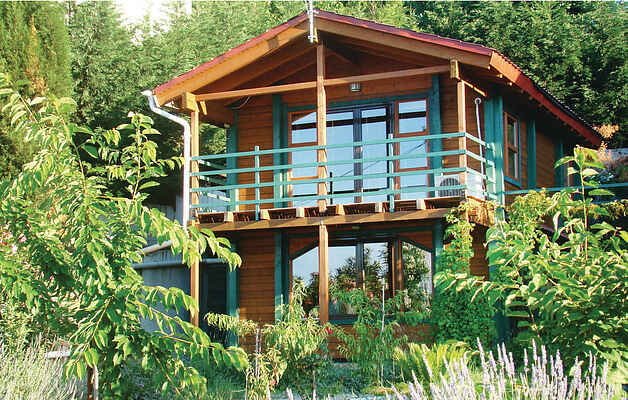 The wooden structure and the location on the slope of the mountain Knimi, offers the serenity for your vacations. Great panoramic view over the Evoikos Gulf, many hiking paths on the area and close to Thermopiles of Leonidas which is famous for the several natural hot water springs and the battle between the Greeks and the Persians.In about 2 hours road you can also visit the famous ancient site of Delphi and the breathtaking mountain of Parnassos. House GST106 is also situated in the same complex with a shared pool.